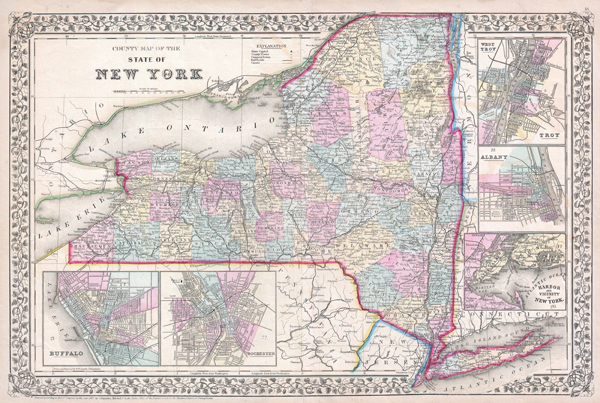 County Map of the State of New York. Mitchell's new general atlas, containing maps of the various countries of the World, plans of cities, etc., (1867 edition). Very good condition. Minor verso reinforcement along original centerfold. Blank on verso. Rumsey 2483.013. Newberry Library, A3417. cf P1511. P hillips (Atlases) 859.